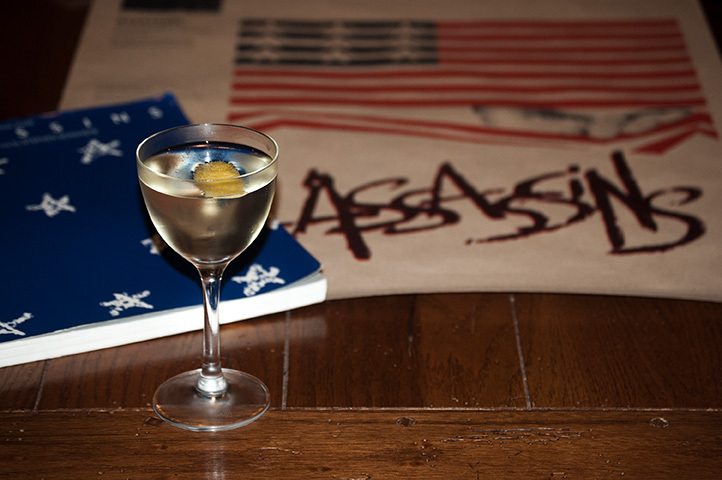 Assassins cocktail #4, after Giuseppe Zangara, attempted assassin of President Elect Franklin Delano Roosevelt. A truly spicy margarita variant, served in a SHORT glass, of course. Shake and strain into an old fashioned glass over ice. Add two dashes of lemon bitters and fresh pepper. 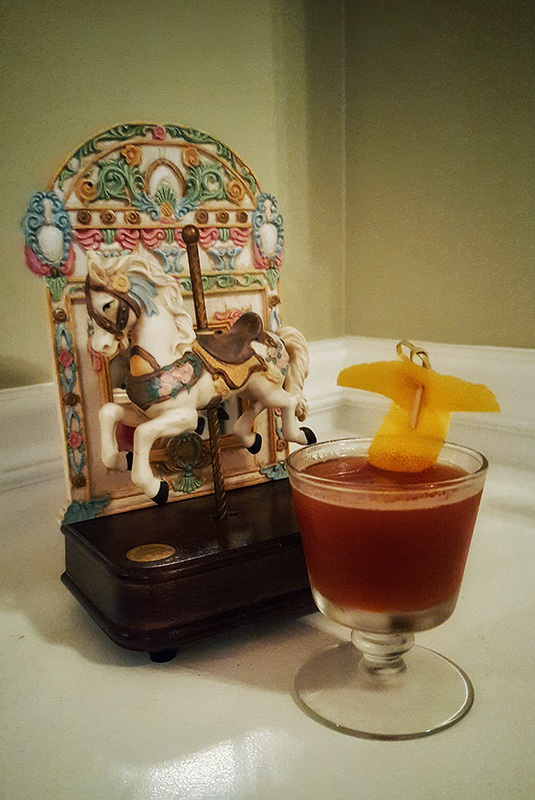 Assassins cocktail #3, after Leon Czolgosz, assassin of President William McKinley. A deceptive cocktail, vodka wrapped around the hidden absinthe, with sour notes introduced by the garnish. 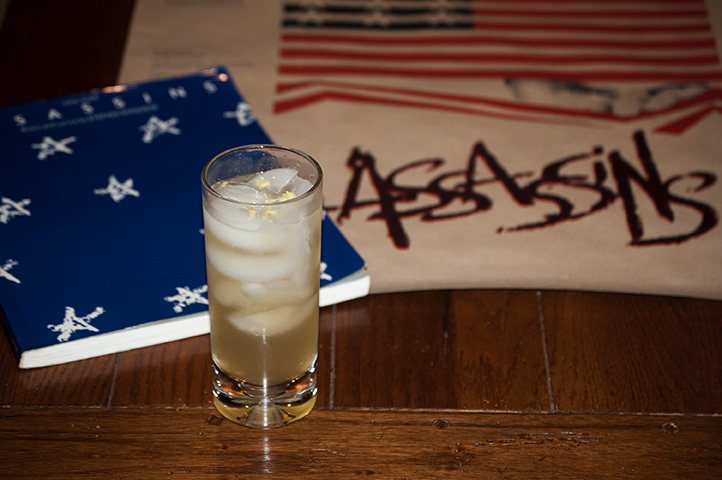 Assassins cocktail #2, after Charles Guiteau, assassin of President James Garfield. A French 75 variation, with American sparkling wine instead of French champagne, and a little nuttiness added. Shake all but wine with ice, strain into highball with ice, top with wine. 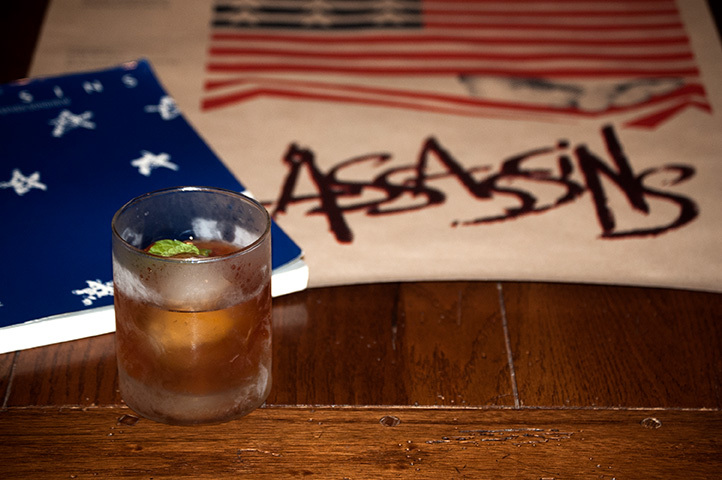 Assassins cocktail #1, after John Wilkes Booth, assassin of President Abraham Lincoln. Boozy and bitter, trying to be a mint julep but a little fake. Stir with ice, strain into old fashioned over ice. 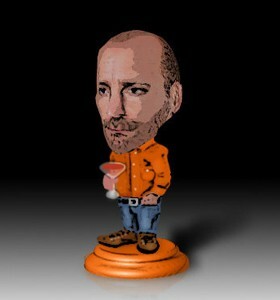 I first got into the craft cocktail scene about ten years ago. For several years I just discovered (…and frequented) bars and restaurants with terrific and/or interesting drink programs, and mixed up from recipe books at home as I put my bar together. After a few years of this I decided that I wanted to try my hand at some of my own cocktails. But there was a problem. One thing I’ve always been bad at is inspiration for creation. For instance, I can draw — somewhat — but rarely found reason to. I don’t really feel the need to express myself and feel that I have “nothing to say” (darn my parents for giving me a good childhood). But give me a story to illustrate, and I pour myself into it. I love to write song lyrics for a show, but you’ll never see me write poetry for myself. It is the same with cocktails for me. Ask me to make something up and generally I got nothing. However, give me a theme and I’m all there. And so it was with my first cocktail creations. 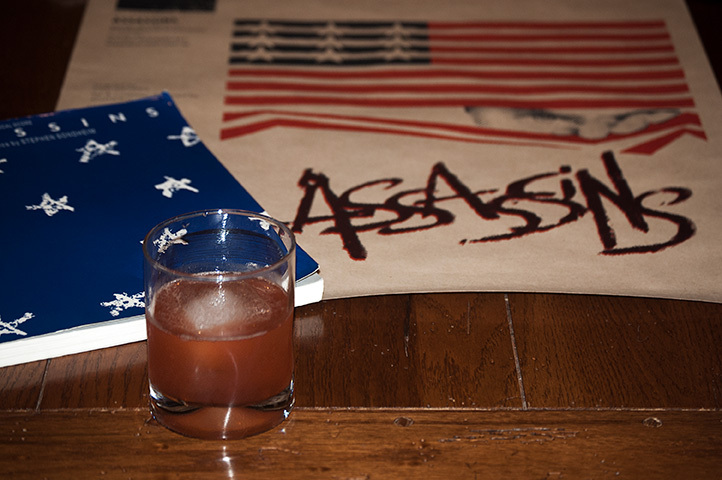 I was then (it was 2011) in a production of Stephen Sondheim’s Assassins and wanted a way to promote the show on social media that was more than, “Hey, come see my show!” I figured custom cocktails would be a unique way to handle this. So what follows over the next couple of weeks are my very first attempts at creating cocktails, each one after one of the assassins portrayed in the show. I tried them all out again recently and was pleasantly surprised, for the most part. I got better, but I probably never had as much as fun. Stir with ice and strain into coupe. Top with 1.5 oz. of Whale’s Tale Pale Ale and garnish with a lemon twist. I’m opening in a production of Rodgers and Hammerstein’s Carousel today with Reagle Music Theatre in Waltham, and like a bottle of Champagne smashed against a ship on its maiden voyage I thought I would christen our journey with a cocktail (less messy, and doesn’t waste Champagne). So I wanted to make something with the ale. I started with the Chrysanthemum cocktail, which is dry vermouth, Benedictine and absinthe. Very nice, light, aperitif. Topping that with the ale was pleasant, but I didn’t think an improvement. So I started to play with proportions or swapping out to create something new. The thing was, I didn’t think any of my tweaks improved on the original. 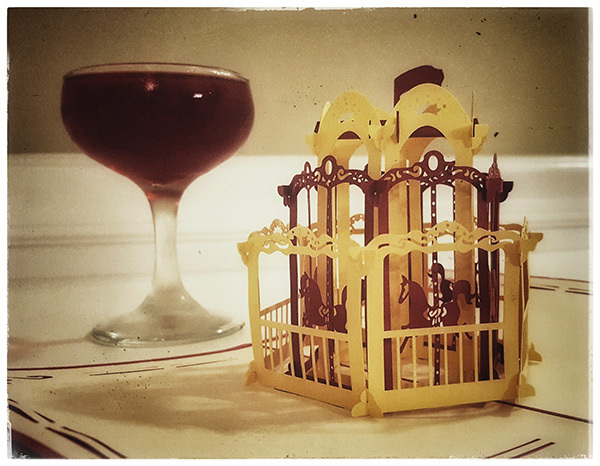 And so I went a completely different direction, beginning with a rum base (from New England, preferably), then adding hibiscus liqueur to incorporate something floral for the sake of the drink’s name and add the sweet element. The allspice dram added some depth, and played really nicely with the rum. This made a fairly decent sipper in itself, but then adding the bitter element of the ale brought it all together. The salt is for the sea, of course. 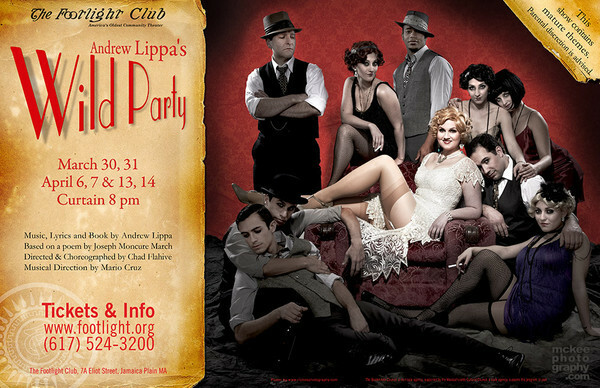 I am inspired at the moment, for a production of The Wild Party that I am excited to be a part of, with Moonbox Productions in Boston. 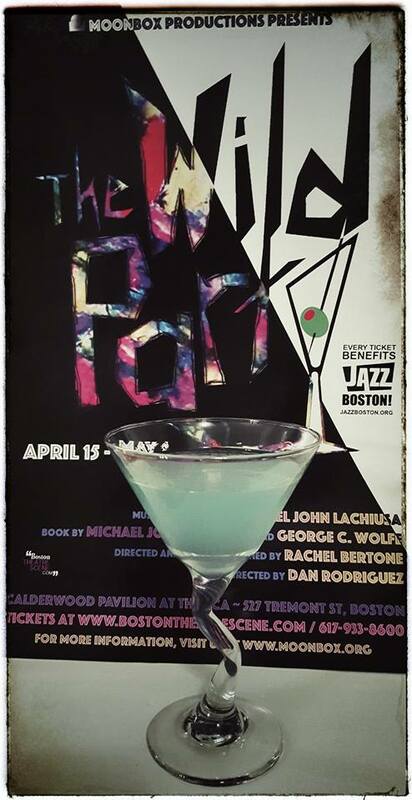 I was actually in another production of The Wild Party in 2012, for which I made a collection of drinks, but that was actually another version (famously, there were two productions of The Wild Party in New York presented at the same time — one on Broadway and one Off). This is the Michael John LaChiusa version, and, interestingly enough, I am playing the same role, that of the violent and unbalanced Vaudeville clown Burrs. Stir ingredients with ice, then strain into cocktail glass and top with 2.0 oz. Champagne and lemon twist. On the surface, this has many similarities with the Out of the Blue drink I did for the other production. But as the other one takes the blue-hued gin and takes it in the direction of vanilla, this one takes the gin (of course, had to be gin) and adds tart and sweet fruit through Hpnotig, evens it out with the vermouth, and adds the Yuzu bitters and salt to temper the sweetness and create a little more depth. We end that with Champagne or sparkling wine for some bright and popping indulgence. I think we’re due to have a wild party. Hotchizadee! 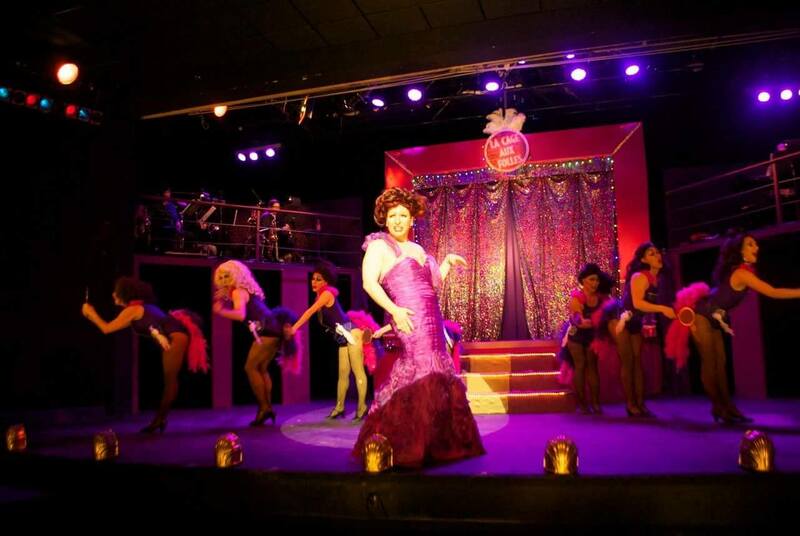 Short and sweet post to introduce a collection of cocktails I prepared for La Cage Aux Folles, a show I am having the fun and pleasure performing with The Umbrella in Concord, MA. That’s me all dragged out in the pic above, flanked by the lovely (and dangerous) Cagelles. I decided for this collection I would create a drink for each of the girls(sic) behind me, who worked their sequined fannies off in the show. Here’s a show that I did over two years ago (that’s me looking all angry in the upper left of the image) based on a Jazz Age poem about.. well, a wild party. The poem was “rediscovered” by Art Spiegelman (of Maus fame) who illustrated a new edition right at the time it became public domain. 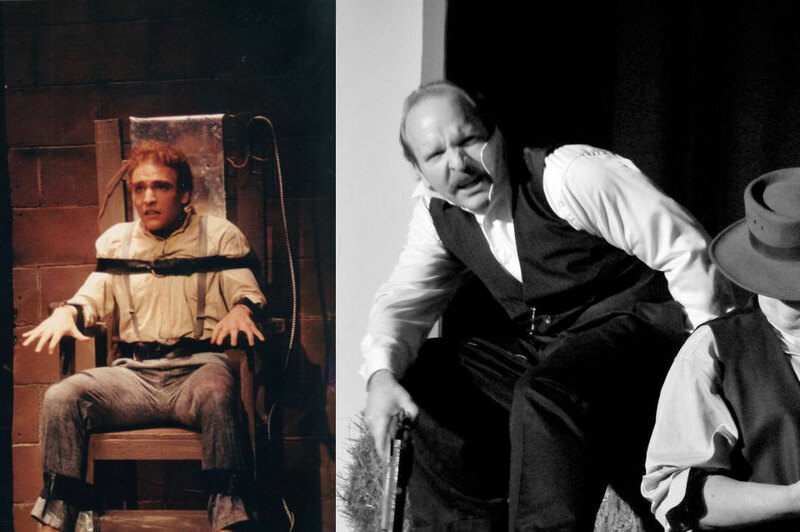 Famously, two different productions were then presented in NYC, one on Broadway and another Off Broadway. This was the Off Broadway version, with book, music and lyrics by Andrew Lippa. I got to play one half of the dysfunctional couple who served as host, a violent, abusive and drunken Vaudeville clown (literally a clown — I smeared face paint on while face down in a bathtub in one scene). I loved it. I don’t often get to portray the villain of a piece (such as it is — everyone’s pretty awful), and I ate it up. Behind the scenes I of course conceived some drinks for our own wild parties. It was only my second time out experimenting with themed cocktails of my own, so I was still getting my footing, but going back now and tasting some of the results I wasn’t altogether displeased (though I admit to a couple of tweaks and, “What was I thinking there?”). “We’ll be having a wild, wild party!” we sang. I was doing my part to contribute!